Yesterday, Dr. Busuttil and I crossed paths and exchanged a friendly hello and smile back at each other just like we would normally do while walking around UCLA. But yesterday our brief encounter was made extra special when he came back with a few of his transplant team and asked them to take a picture of us together. I'm always delighted to see Dr. Busuttil and so many other people who I was or are under their care and I always think back at where I would be without them in my life. Here is a brief story of how and why Dr. Busuttil is probably the only reason why I'm still here today. In February of 1984, Dr. Busuttil performed the very first liver transplant west of the Mississippi River at UCLA. Four months later, I was born with a birth defect called Biliary Atresia and my liver was failing. After a year of numerous surgeries and procedures to save my liver while I was an infant, nothing worked and the only way my life would be saved was to have a liver transplant. Call it fate, call it coincidence, or call it luck, but my parents and I were at the right place at the right time living in Southern California where we were referred to Dr. Busuttil at UCLA and was on the transplant list in 1985. I was just an infant and toddler then so I don't remember anything of what it was like being sick, going through all the painful surgeries and procedures, or not knowing if I'll live but I can only imagine how scared and worried my parents felt knowing that their very first child will need a liver transplant in order to survive when liver transplantation was in its pioneering days, let alone when there were no organ donor registry. My parents were very brave to have gone through everything and had so much trust and faith in Dr. Busuttil and everyone at UCLA. In May of 1986, when I was just one month away from turning two, I received that life saving transplant. My mom shared with me that she was so worried and scared about what my life would be after my transplant, but she said her worries and fears were all lifted away and were exchanged with tears of joy when she saw me playing kick ball with Dr. Busuttil in the hospital hallway a week or so after my transplant. It is so surreal to look back and think that when I was barely two years old, I was one of the first 30 patients to have received a liver transplant performed at UCLA by Dr. Busuttil. Now him and his liver transplant team has performed well over 6,000 transplants since 1984. Due to the fact that liver transplantation was in its pioneering days back then, so were the medications. Unfortunately my first liver transplant didn't last as long as everyone hoped and I needed another transplant when I was 15 and was put back on this transplant list in 2000. One month after I turned 16, I was fortunate again to receive my 2nd transplant which was performed again by Dr. Busuttil. I guess you can say that Dr. Busuttil knows me internally more than anyone else, even myself! I have shared my story to many people and have met a person who shared that he had a sister who had liver disease but unfortunately she passed away because she was born before liver transplantation was available. This puts so much into perspective of how crazy life can be. What if I was born a year earlier? What if my parents and I lived somewhere else? What if Dr. Busuttil didn't start the liver transplant department in 1984? So many "what if's" that could change what my life would be. All in all, I wouldn't be alive 31 years ago if it wasn't for Dr. Busuttil! 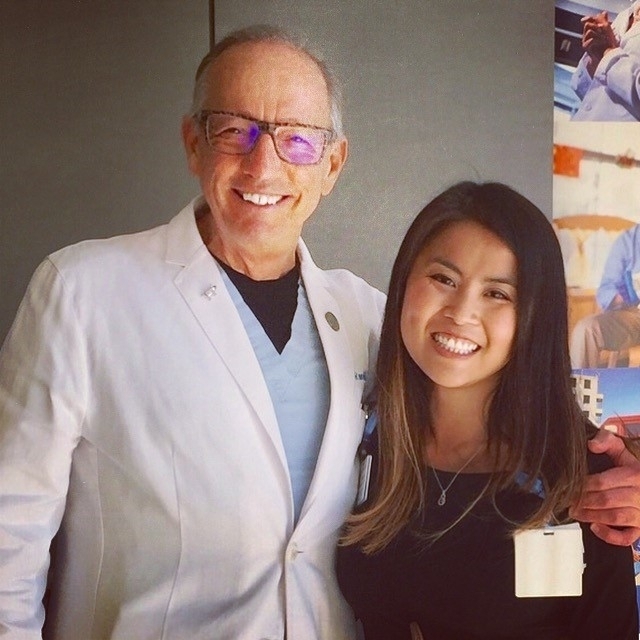 Words can not describe how thankful I am of your ingenuity, passion, and dedication to create UCLA's liver transplant department 33 years ago and to where it is at now, world renowned! I had the pleasure of working in Dr. B’s office in 2005 and now I see him when I am Volunteer Assistant, PREOP, RRUCLA, on Wednesday afternoons. 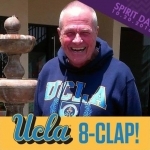 He is a UCLA ICON!